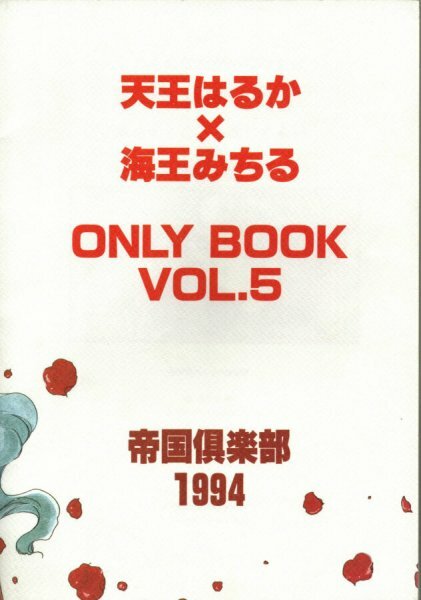 You'll also find some Teikoku Club doujinshi in the Gundam Wing section. Comments: Mostly a bunch of gag stories and short comics focusing mainly on Uranus and Neptune. 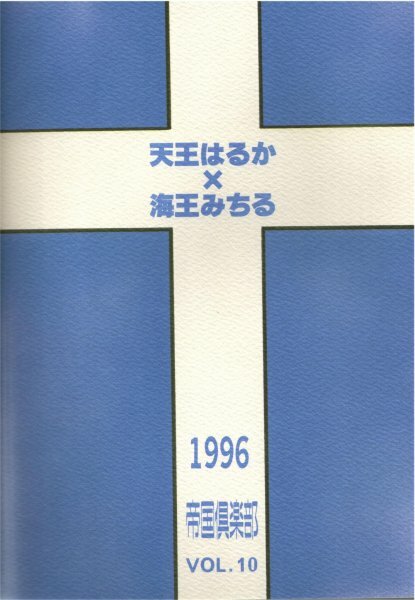 Comments: This doujinshi features the Second Stage (second part) of the on-going story in the "Love Chaser" books. 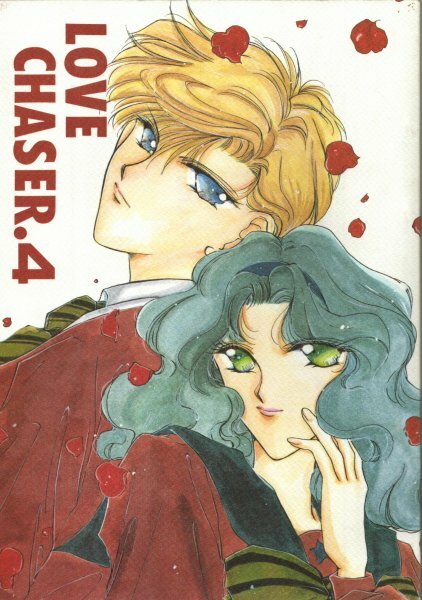 The rest of the doujinshi features some short comedy strips, and one manga version of Haruka's Sailormoon S prologue from the "Uranus - Neptune - Chibimoon - Plus" CD. 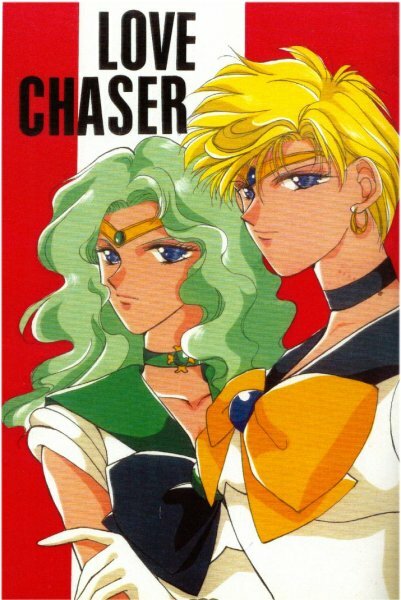 There are a couple of one-shots of various characters, mostly Haruka and Michiru, but some Pluto, and a teeny bit of Saturn as well. Comments: A continuing story from previous "Love Chaser" doujinshi. There are some short gags and lots of pictures based on voting results. Comments: This volume has some more of the continuing story (but not much). Then there are two short gag stories at the end, one with cameos of Hotaru and the boys from Gundam Wing. There's some sweet scenes in the main story. 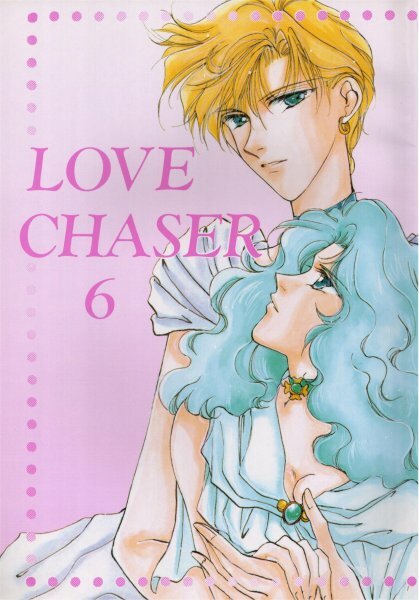 Cover of "Love Chaser 6"
Back of "Love Chaser 6"
Comments: The end of the "Love Chaser" continuing serious story. 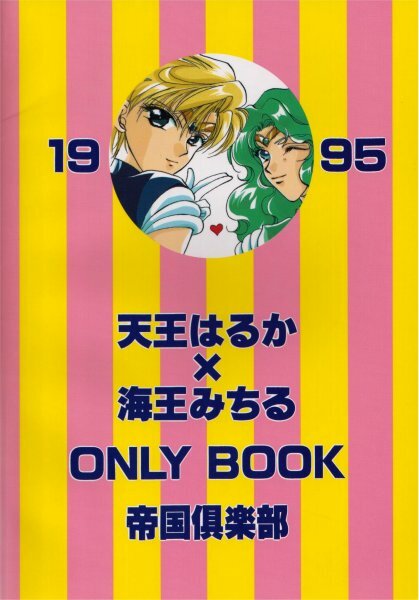 There is a short, unrelated story in the beginning with Haruka and Michiru in Juuban High uniforms along with a brief Sailor Starlights cameo. 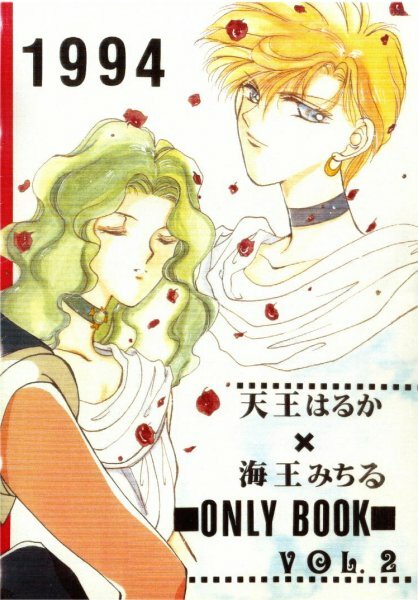 Other characters that appear are the characters made up for the doujinshi; the Sailor Team; King Endymion; Pluto; and Neo-Queen Serenity. 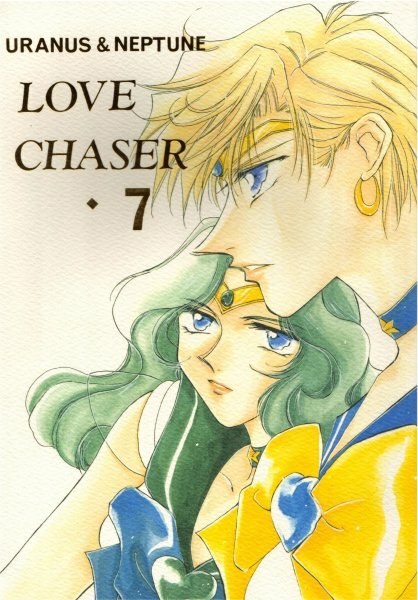 Cover of "Love Chaser 7"
Back of "Love Chaser 7"